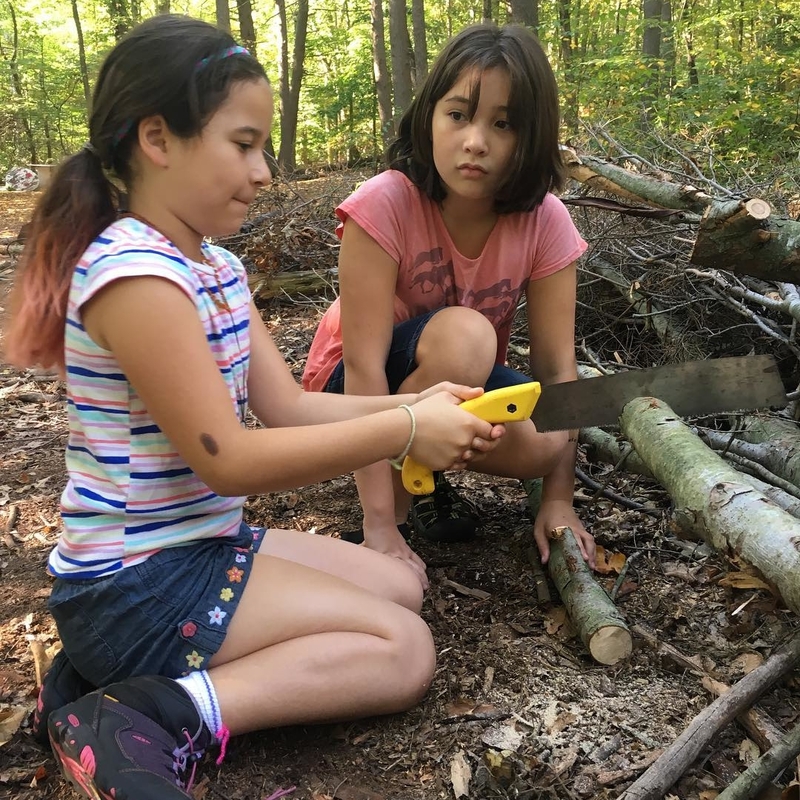 Children ages 5 – 13 are invited to come together in a small community of children and Teacher Naturalists to explore, imagine, and learn on the farm and in the forest. 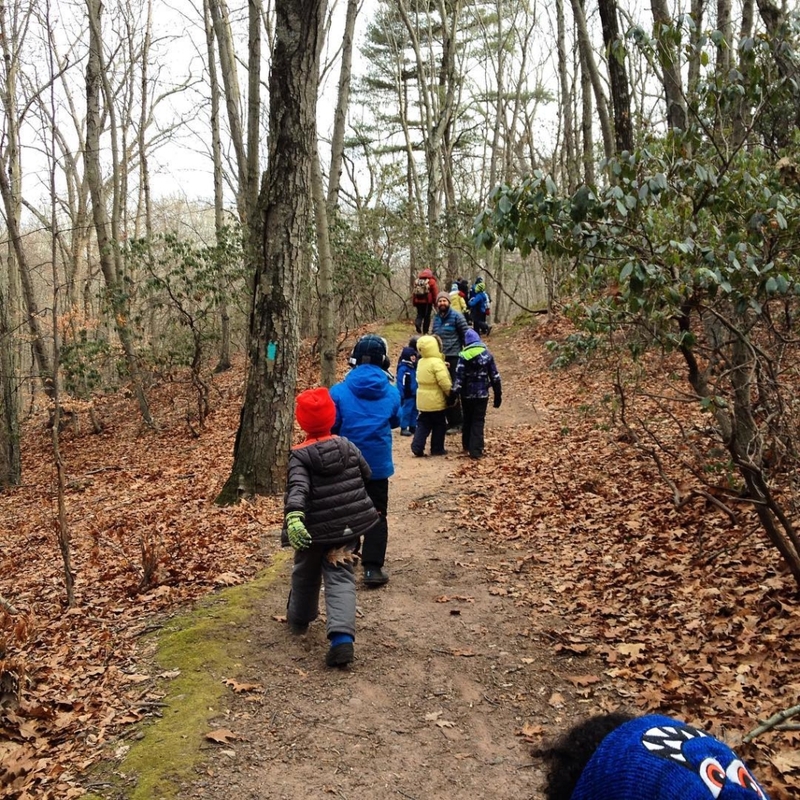 The NatureYear program is conducted almost entirely outdoors! 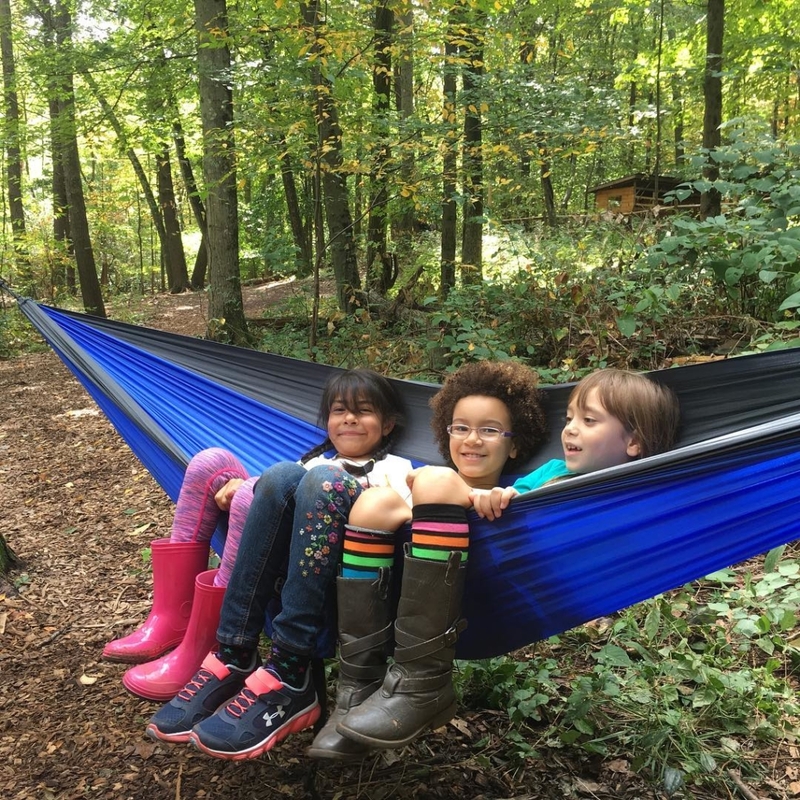 Our cabin in the woods is our group’s home base, and our explorations take us onto the farm, through the gardens and animal yards, and into the forested trails of West Rock Ridge State Park. 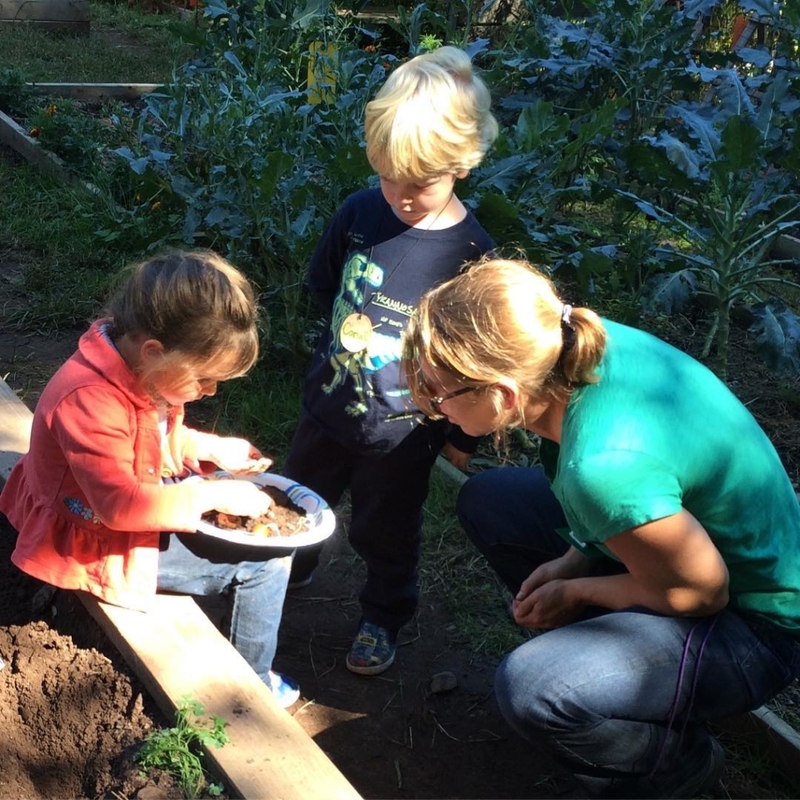 Activities follow the seasons and the interest of the children. 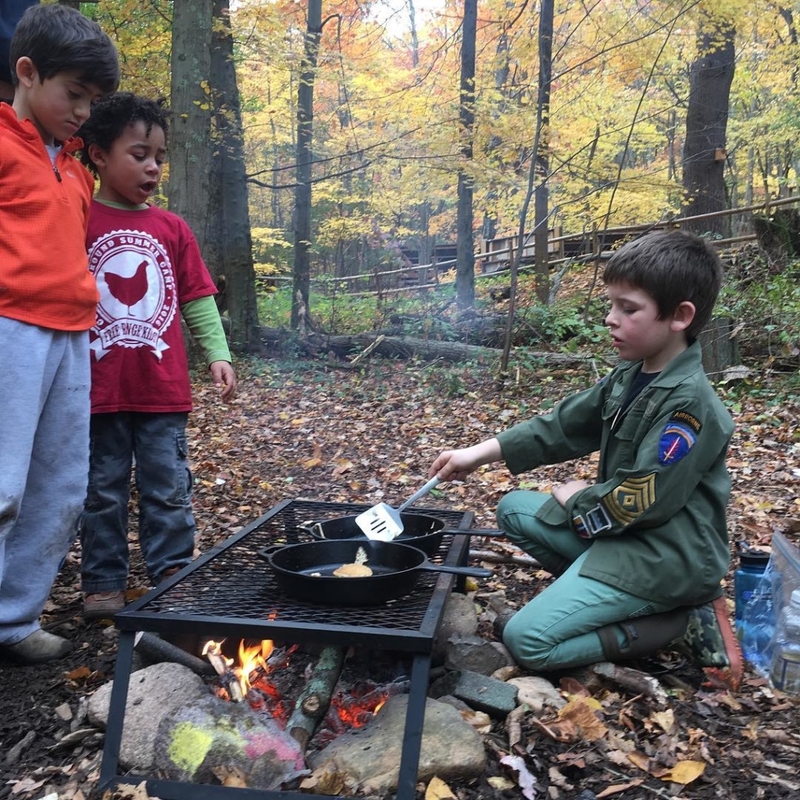 Fall brings harvesting and cooking from the gardens, jumping in leaf piles, fort building, nature hikes, and helping to put our farm to bed for the winter. 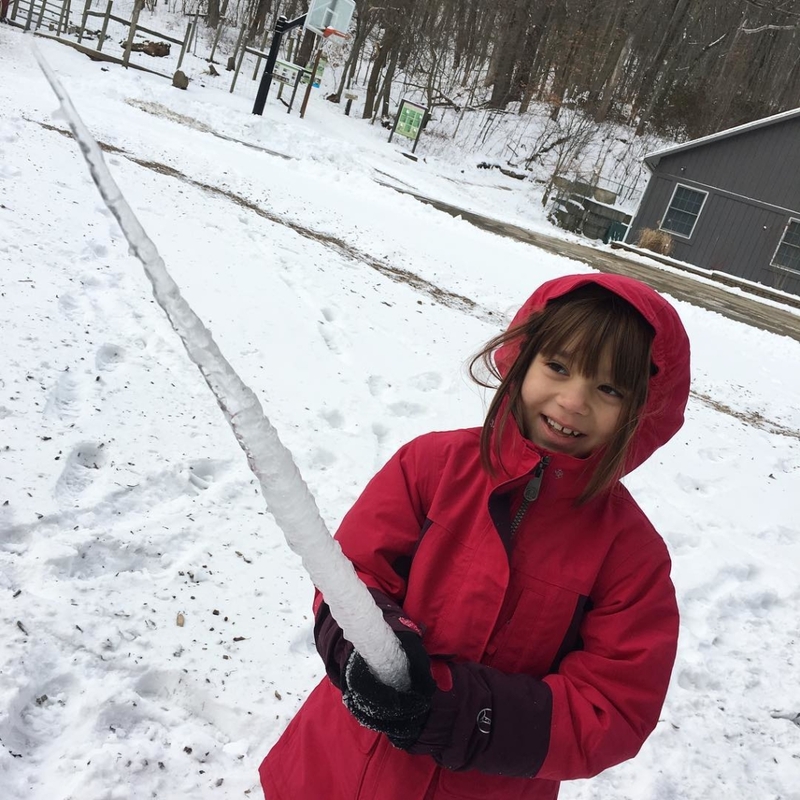 Winter is wonderful for animal tracking and searching for signs of wildlife, cooking and being cozy around a campfire, snow play and snow shoeing, and nature arts in our farmhouse classroom on the coldest of days. Spring brings the magic of baby animals on the farm, a wetland full of frog eggs and tadpoles, seeds to be started, and forest streams to be stomped in! The NatureYear Parent Handbook has details about our program philosophy, daily schedule, and much more! Is NatureYear right for your child? 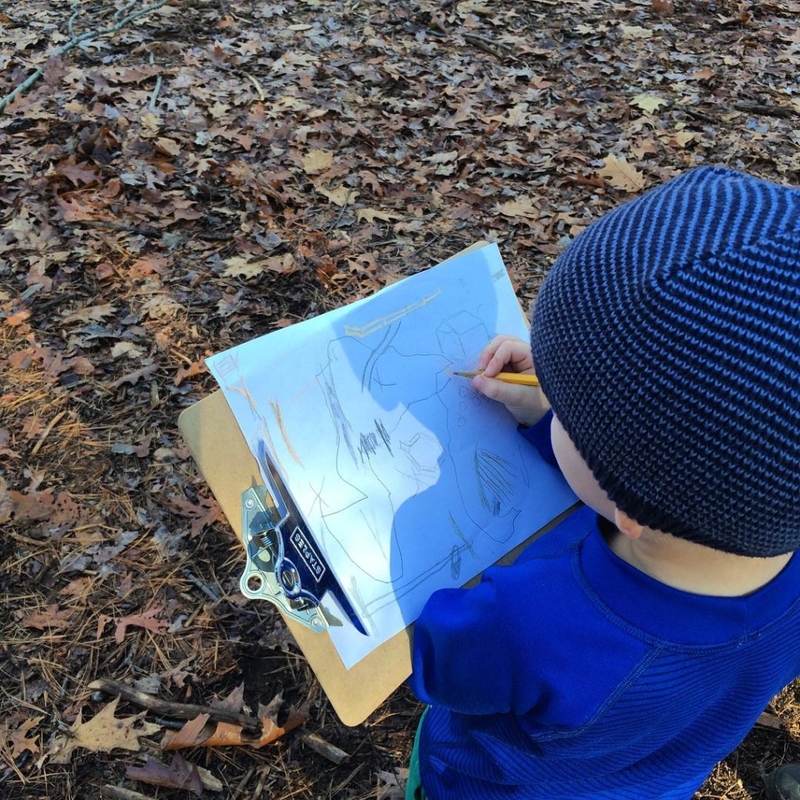 Are curious and like to ask questions and explore, both with friends/adults and independently. 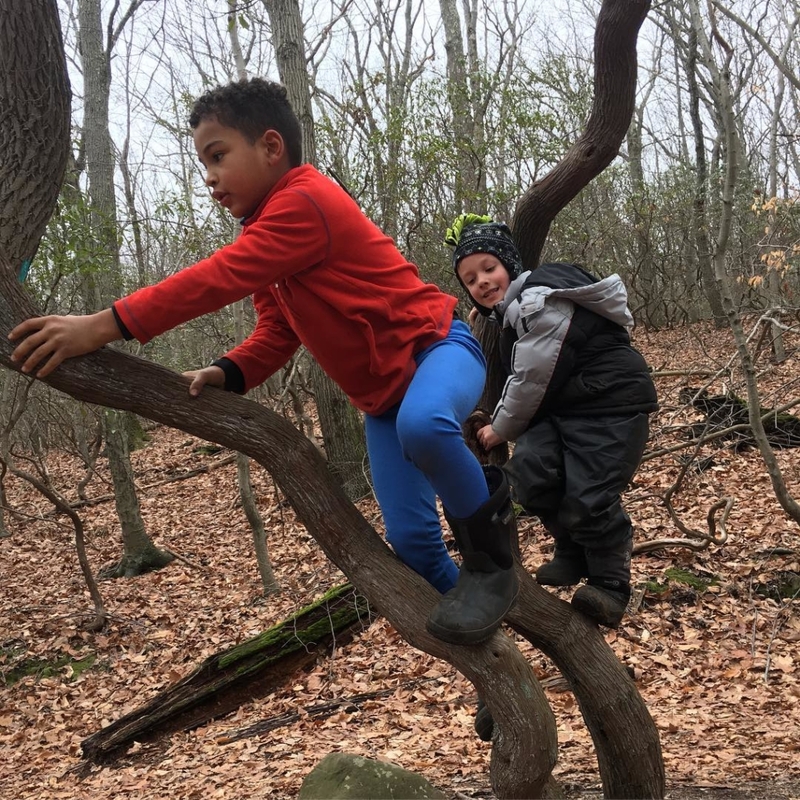 A core practice of the NatureYear program is allowing children time for unstructured and independent exploration and play in nature. 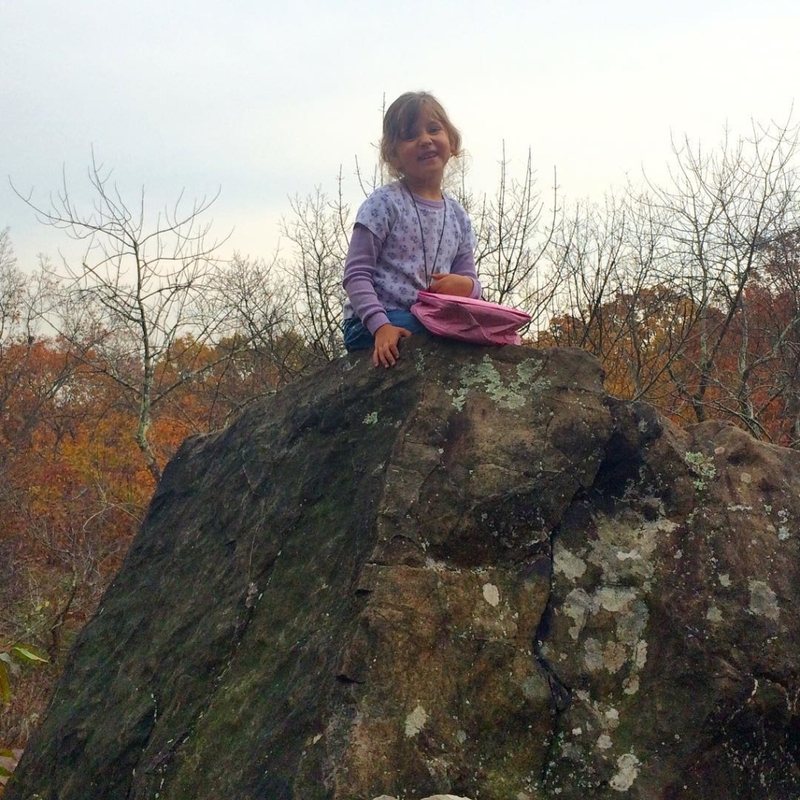 Teachers are highly mindful of safety and supervision, but will not always be physically proximate to children. Children who need adult guidance for most social interactions, who have limited impulse control beyond what is typical for their age, or who need an adult very nearby in order to make safe choices may not be a good fit for the program. Have the stamina and attitude to enjoy being outdoors in all weather, including rain and cold. This can be lots of fun, and teachers help make sure children have put on their gear correctly and that we are taking weather related breaks as needed. 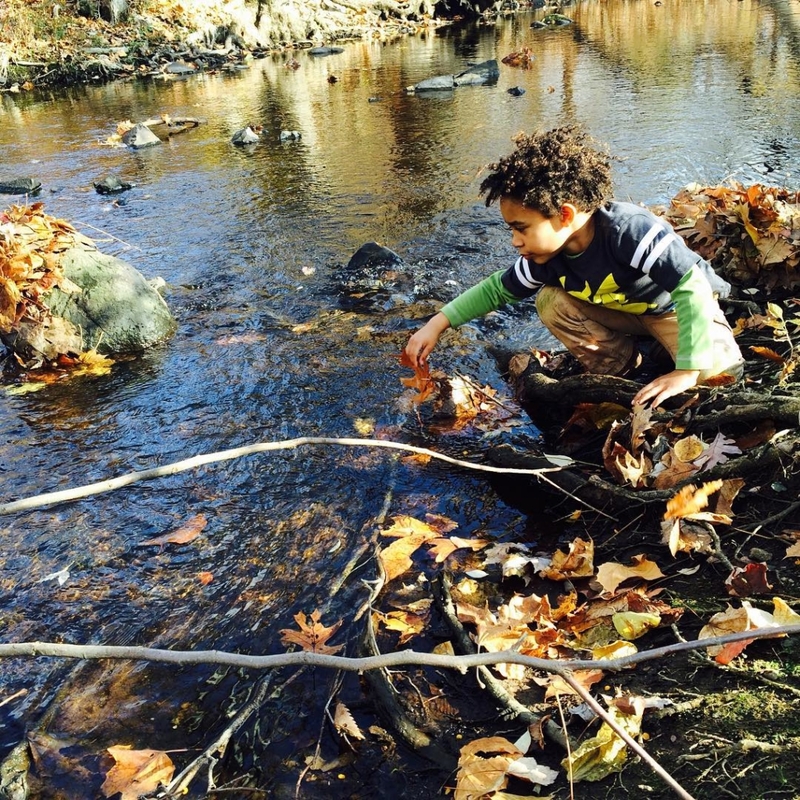 However, children who have strong preferences around not being wet or dirty may not enjoy their NatureYear experience. Are homeschooled OR whose families are ready to help them meet academic expectations associated with missed days of school. 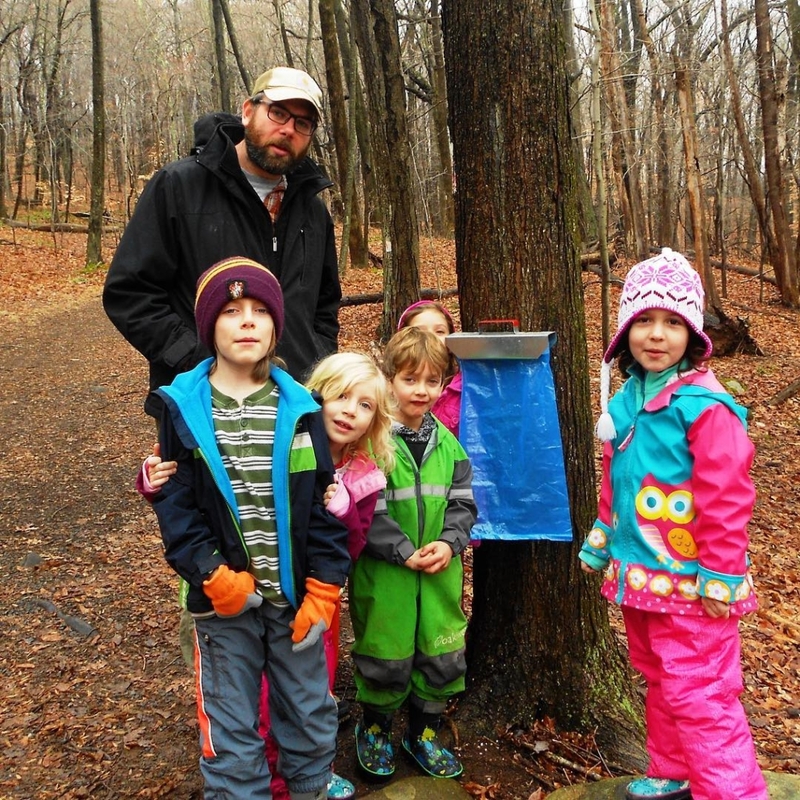 Our homeschooling families integrate the NatureYear experience into their learning in various ways. For children enrolled in public or private school, the school and the family typically agree on what work needs to be made up. 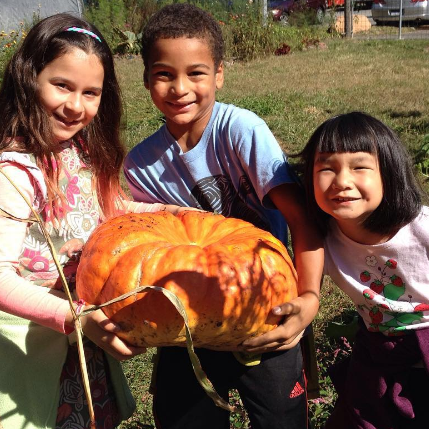 Common Ground provides daily attendance to schools for enrolled children, and we provide seasonal (fall, winter, spring) individual child reports to parents of all enrolled children. While we have lots of learning goals, the NatureYear program does not do any specific academic assessment or reporting. Would thrive in a program where we focus on ownership, leadership and being part of a community. 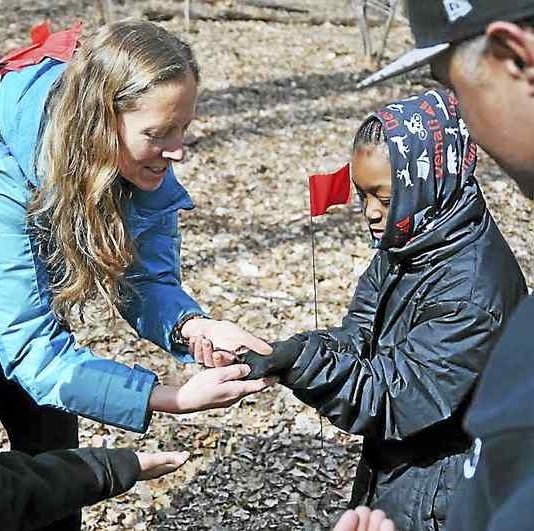 NatureYear has many opportunities for children to follow their individual interests, and children are also asked to practice the skills needed to build strong community. Community is built through circling up and listening to teachers and peers at daily group meetings and through intentional modeling by teachers of collaborative decision making. 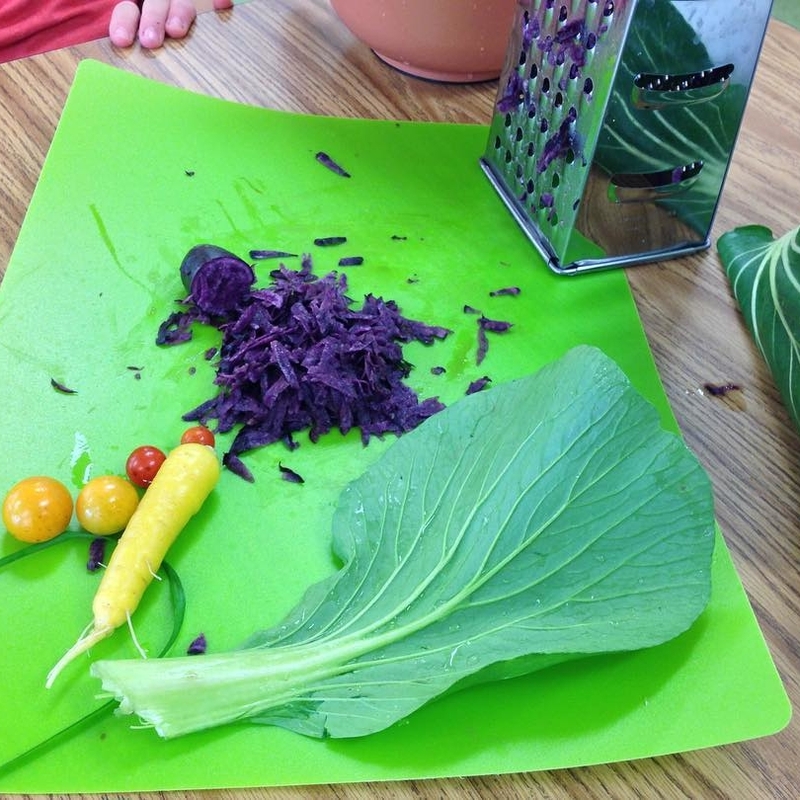 Ownership and responsibility are developed through helping with daily chores. 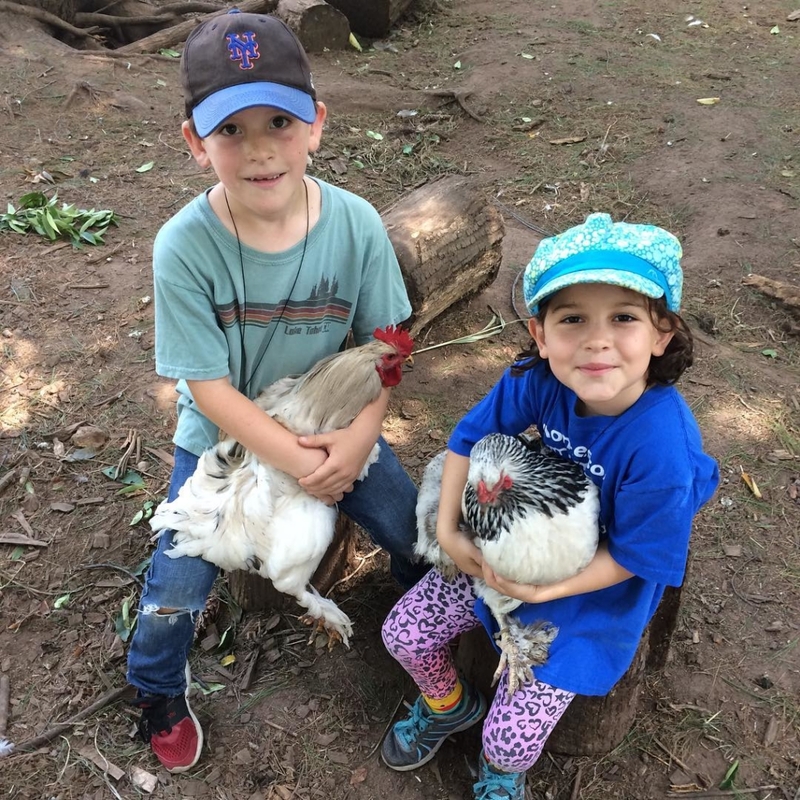 Children care for farm animals, cut fire wood, water the garden, tidy the cabin, and work together to care for our campus. 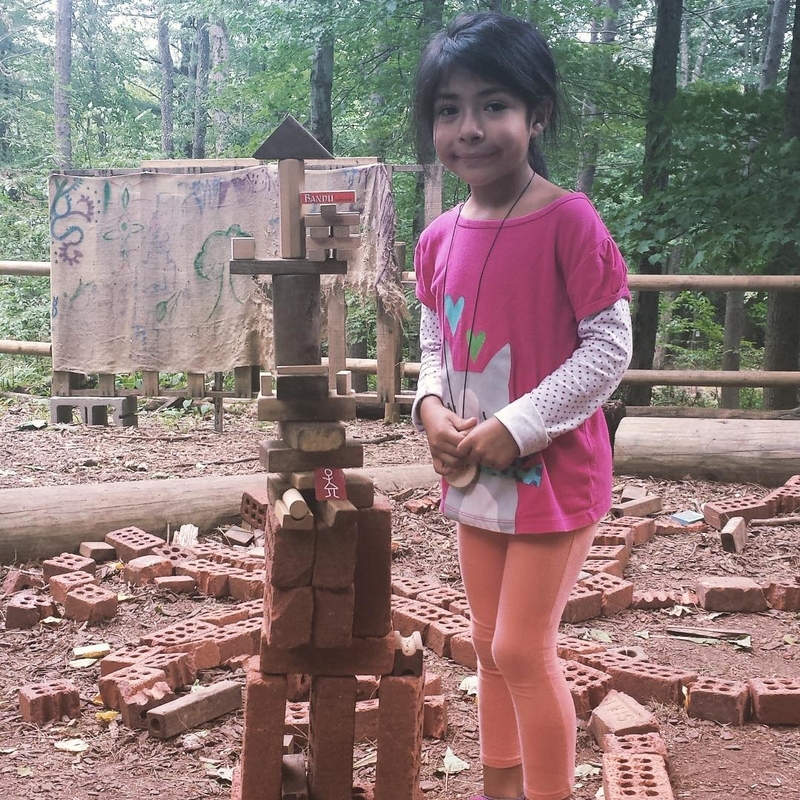 Child-led activities are a great opportunity for practicing decision making and leadership skills. Read more about these parts of the day in the Parent Handbook. Children must be 5 years old by November 1, 2019 and must not turn 14 years old before January 1, 2020. Homeschooled children and children who are enrolled in Public or Private school are all welcome. 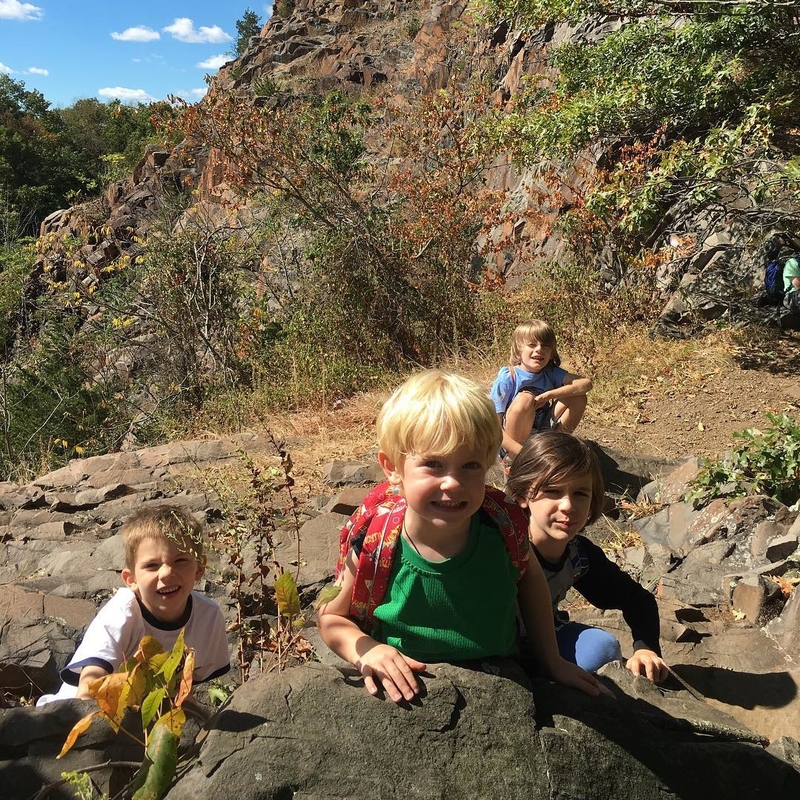 Please contact us if you’d like information on reaching out to your child’s school to request permission for your child to be enrolled in NatureYear. Our OAKS group is made up of eighteen children, ages 6 – 13 (with three teachers and one assistant teacher). The exact age range varies with overall enrollment trends, and we typically see some days of the week with the full 6 – 13 year old age range, and a few days that trend younger, with all 18 children being 6 – 9 years old. The MAPLES group is eight children, ages 5 and 6 (with two teachers). 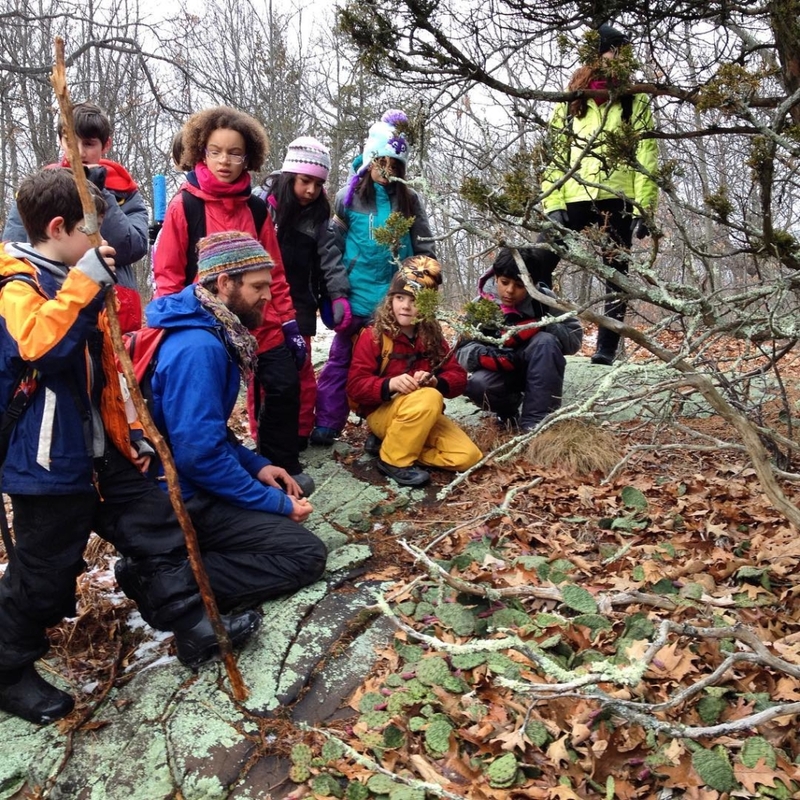 The ELMS group is ten children, ages 11 – 13 (with two teachers). One OAKS group meets every weekday. 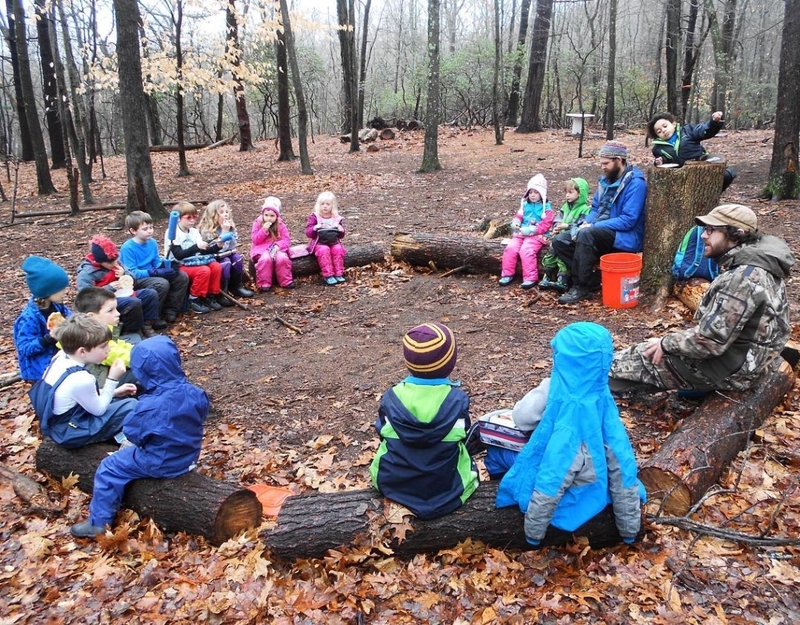 In addition, each weekday also has a MAPLES or an ELMS group. 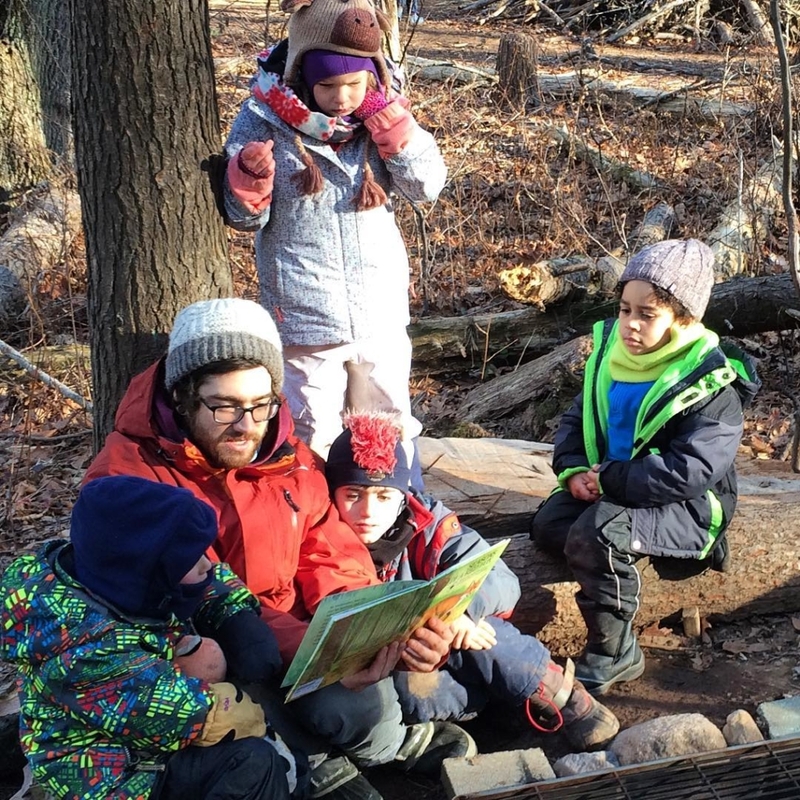 Each of our teachers brings a wonderful blend of naturalist skills, experience with leading and teaching children, and enthusiasm for outdoor play and learning! Our staff are trained in first aid and CPR, and additional program supervisors are always on-site and happy to help and play with the group when needed. Meet our teachers at an Information Session! Monday – Friday from 9 AM – 3 PM. 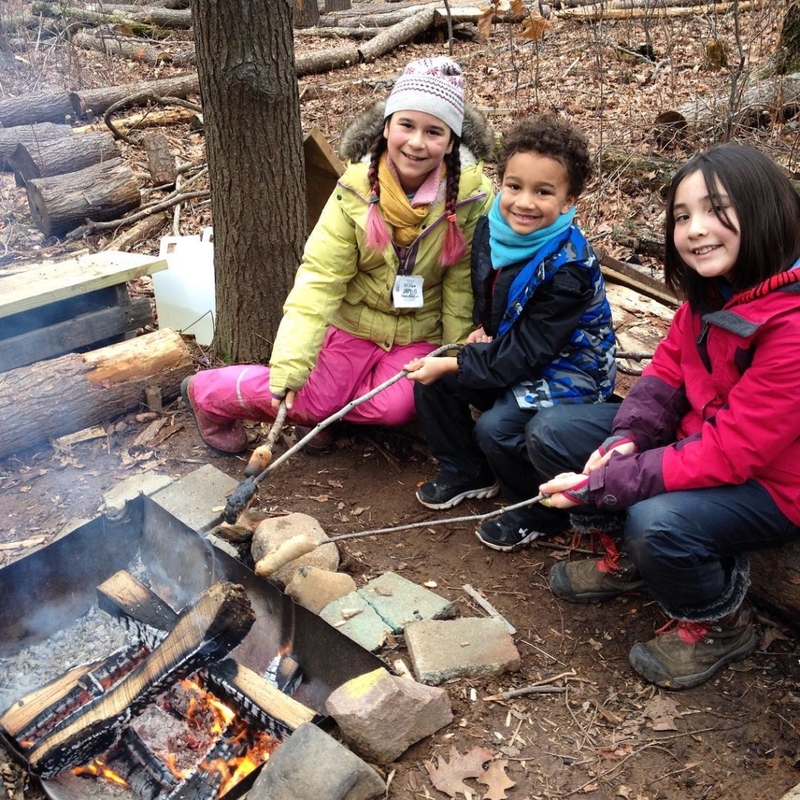 An optional after school program is available from 3 – 5:30 PM on Tues/Weds/Thurs (note that this link represents the program for the current school year, but the program will be very similar next school year). each day of the week has an equal number of planned closings over the program year, for a combination of holidays and staff meetings and professional development. The program calendar is finalized in May for the following school year. $2,500 per year. A deposit of $300 is made at the time a program space is accepted (typically in June or July) then payments are made every month from August – April. Financial aid: A limited number of program spaces are available at up to 40% off of annual tuition for qualified families. Complete the online form HERE in order to apply for financial aid.